We met doctor Bradstreet 10 years ago at a Defeat Autism Now! ( DAN) conference in the USA. Over the years we were privileged to consult with him as he held our hand and guided us on a medical treatment protocol for our son David who was diagnosed with autism at a very young age. He was a true pioneer in the field of autism and he touched the lives of many children and parents, blazing a trail of new treatments through his rigorous research and recognising the importance of treating each child individually. Never accepting autism as a hopeless prognosis for his patients or his own son, Dr Bradstreet persevered in relentless research to find treatment solutions. Years ago at the beginning of our own personal journey with autism, I asked Dr Bradstreet if he would visit South Africa to present on autism treatment. He presented at our first Challenging Children Conference, providing the monumental ground- breaking message for South Africans that autism is in fact a treatable medical condition. I will never forget the shock and disbelief on people’s faces at the conference when they heard that autism is in fact treatable. During the break, the foyer was filled with professionals and parents calling their family and colleagues to let them know what they had just learnt about from Dr Bradstreet. The energy in the room was amazing and in calm, yet inspiring way Dr Bradstreet imparted the information to the large crowd of people, schooling them on how to treat autism. He was an advocate of autism treatment and understood the complexities of what truly causes the symptoms we call autism. The impact of his work has changed the course of autism for many families around the world and his untimely death has left the autism community saddened. His facebook page (Rememberingdrbradstreet) is a testament to his life’s work as it is filled with messages from families whose children he treated and those he recovered. On behalf of the South African autism community, we thank Dr Bradstreet for his profound work dedicated to treating children with autism throughout his lifetime. We thank him for his devotion and we salute him for his bravery and courage in helping our children lead better lives by empowering so many parents to help heal their children. Our community is richer for having had his insights and tireless research. We will always remember him as a true healer, a guiding light and an exceptional man. On a personal note, my family was privileged to consult with him for a decade. Ten years is a very long time and there were many times over the years that he managed to solve complex medical issues for our family. We can only draw comfort in arming ourselves with the treatment codes he left behind as we continue our battle against autism. If you would like to access his published work please go to his facebook page Rememberingdrbradstreet or to his blog for more information. I would like to encourage you to embark on a bio-medical treatment protocol for your child under the guidance of a trained doctor in this protocol. There is much research in support of children with autism suffering from brain and bowl inflammation, viral, fungal and bacterial infections, immune dysregulation, impaired detoxification, nutrient deficiencies, food allergens and more. When we start treating these symptoms we start ticking off the symptoms we call autism. A healthier child who can sleep and digest their food has a better chance to learn and catch up their delays. We are proud to announce ‘that all our staff members across South Africa and Africa have participated in an international ABA Board Exam, achieving certification as Board Certified Autism Technicians (BCAT). This certification further validates the autism-specific skills of our team members and their competencies in using the principles and procedures of applied behaviour analysis.The certificate is awarded by the Behavioural Intervention Certification Council (BICC), a non-profit organisation founded in America to promote top-quality, evidenced-based autism treatment and to ensure consumer safety. BCAT certificate holders meet specified education, training, and experience standards, adhere to a code of ethics, and demonstrate mastery of the knowledge required to treat the deficits and behaviours associated with autism spectrum disorder (ASD). The BICC, an independent and autonomous governing body for the BCAT certification programme, was established in 2013 to promote the highest standards of treatment for individuals with ASD through the development, implementation, coordination, and evaluation of all aspects of the certification and certification renewal processes. Not only did our staff meet the eligibility requirements for exam entrants — which included a certain number of supervised experience hours, education, and training but we are thrilled that they also achieved top marks for the BCAT certification. The BCAT has an ongoing means of evaluation where technicians must obtain continuing education credit units in order to retain their certification. With the pass mark for the exam set at 80% or above, this is no mean feat and our staff passed with flying colours. Congratulations to the Star Academy Team and to the Teams in Ghana and Zimbabwe for this outstanding performance! We pride ourselves on the delivery of top quality ABA services and this accreditation is a testament to the quality of ABA we deliver on a daily basis! Well done everyone! Jenna White is someone who has dedicated her life to the service of others, having found her true life’s calling in working with children with autism spectrum disorder. With a focus on psychology, her extensive qualifications include BA child and family psychology, BA Hons psychology and MMus Music Therapy.Jenna, who has been working at The Star Academy since its inception in 2009, works as a Supervisor at the Star Academy and is currently completing her coursework and supervised experience so that she is eligible to sit for an international certificate exam later this year, which will make her the highest qualified ABA specialist in the country. It’s difficult to believe that three quarters of 2015 have passed by and furthermore, 6 years have passed since The Star Academy first opened its doors. It’s fair to say that had Ilana not made this journey possible, many a door to effective Autism treatment would remain firmly shut for the incredible families we work with and likewise, as professionals working in the field of Autism, we would not have had the opportunity to grow and progress in the way that we have. Soo Cho, who was the first CARD supervisor to visit South Africa, recently visited our centres to provide on-going training and support to our staff and families. She was thoroughly impressed by the high standards of ABA being practiced at The Star Academy from junior instructor, all the way up to supervisor level. We receive this endorsement with the utmost humility and are immensely grateful for Soo’s significant contribution to The Star Academy over the past 6 years. 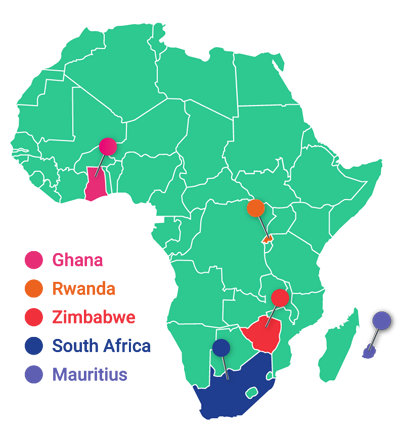 A further testament to our growth is the continued development of our affiliate sites in Africa. Abed and Linna who are based at Therakids in Accra, Ghana, have been at our centres, undergoing senior instructor training. They have been joined by Tabitha from Harare, Zimbabwe, along with our local candidates, Dominique and Sofia from Johannesburg. We wish them all the very best during their training and are fully confident that they will embrace the responsibilities of being a senior instructor with enthusiasm, dedication and professionalism. We would also like to acknowledge the amazing contributions that Dzifa Amegashie in Ghana and Rose Sibanda in Zimbabwe are making towards the provision of world class and effective ABA treatment to children on the Autism Spectrum. It is a privilege to be associated with ‘Champions for Autism treatment’ like Ilana, Dzifa and Rose and together, we will continue to strive to help all our client’s and their families fulfil their aspirations. Lastly, to each of our instructors and supervisors, we’d like to acknowledge and congratulate you on your unerring commitment to treating children on the Autism Spectrum. We are blessed to have such an amazing team driving our organisation forward! Wishing you prosperity and joy for the last quarter of 2015! Autism Spectrum Disorder cannot be treated. ABA is not limited to only help children with a specific diagnosis such as Autism Spectrum Disorder. ABA has been used effectively with multiple disorders as well as aiding in acquisition of various skills and other socially relevant behaviour. ABA services are only relevant to children diagnosed with Autism Spectrum Disorder and no other disorders. Behaviour is any observable and measurable act which is inclusive of academic behaviour, social behaviour etc. Therefore it is not only successfully applied to challenging behaviours. ABA can only be applied to behavioural problems. ABA services are designed to focus exclusively on challenging behaviours (i.e. self-injurious behaviours, aggressive behaviours, etc.). ABA techniques have been effectively applied to numerous cases beyond the early stages of childhood as well as outside the realm of autism spectrum disorders. Applied Behaviour Analysis is only an effective treatment for young children with autism spectrum disorder. ABA is not restricted to one environmental area. It incorporates the child’s ability to generalize information; which is often accomplished by varying the location and manner in which skills are taught. Proper application of the principles of behaviour focuses on reinforcement and manipulation of the environment, not aversive measures. The Star Academy has started an outreach programme with the Tembisa hospital. The aim of this outreach programme is to help those who are less fortunate within the Tembisa community. Among the services we offer are PROMPT (Prompts for Restructuring Oral Muscular Phonetic Targets) sessions and parent support groups. We have had an overwhelming response thus far. Our first meeting with the parents and children took place on the 5th of September, and we were struck by the dedication of these parents to their children’s wellbeing. The stories told by the parents brought tears to many an eye, fuelled our passion to help, and reminded us why we chose to be in this field. A father from Mpumalanga brought his two-year-old child, Given, to see us. Given’s mother left the home, when she realized that Given was not developing typically, leaving Given and his father behind. It was assumed that, because Given was not babbling, he was cursed and that witchcraft was used against him. He was sent to live with his grandmother, who took him to see a Sangoma. When the rituals performed by the sangoma did not bring about any improvement in Given’s development, his father decided to seek medical help. He took Given to Tembisa hospital, where he received a diagnosis of autism. Given attends a nearby nursery school but cries frequently. It was discovered that his father’s girlfriend had been abusing Given when his father was not at home. That relationship has since ended and Given’s father has now found a lady who will take care of Given and she will receive ABA training to assist his son. We are so grateful that we have the tools needed to help these families, and ask that you contact Zama Macu if you would like to support us in any way. We would like to Congratulate the following people on their wedding. We wish you a long and prosperous life together. “Nonessential” means that our bodies produce an amino acid, even if we don’t get it from the food we eat. They include: alanine, asparagine, aspartic acid, and glutamic acid. Protein shakes often contain required amino acids. The Xymogen fitfood Vegan protein shake or the Xymogen fitfood whey protein shake are two reliable products to consider and discuss with your biomedical doctor. Your Third Brain: by Greenlaw and Ruggerio. To order go to our website. Chop the nuts roughly and put them aside. In a large frying pan, fry all the spices in the oil, then add the nuts and mix them up. Place the nuts in an oven tray and bake them for 10 minutes. Keep a close eye on them to make sure they don’t burn. When making the yoghurt for the breakfast cereal go to https://www.bravo-europe.com Bravo yoghurt has been a very successful intervention for children on the autism spectrum. For more information on how bravo can help your autistic child visit https://www.bravo-europe.com and watch Dr Ruggiero’s talk he presented at the last Autism One Conference. BRAVO is a proprietary array of live microbes that, during the fermentation of mammal milk and colostrum, naturally produce, as occurrs in milk fermented product, a number of peptides and proteins that are known from scientific literature to stimulate the immune system. In addition, the live microbes contained in BRAVO reconstitute the human healthy core microbiome. As far as definitions are concerned, some use “microbiome” to mean all the microbes in a community. We and others use it to mean the full collection of genes of all the microbes in a community. The human microbiome (all of our microbes’ genes) can be considered a counterpart to the human genome (all of our genes). The genes in our microbiome outnumber the genes in our genome by about 100 to 1. As researchers learn more about the microbes that keep us healthy, we are coming to understand how subtle imbalances in our microbial populations can also cause disease—and how restoring the balance may lead to cures. Our new understanding may lead to more focused and effective treatments. Unlike modern antibiotics, which kill good microbes along with the bad, new natural nutritional approaches may counteract only harmful bacteria while leaving the friendly ones alone. Other approaches, such as fermented milk products, nurture friendly bacteria, helping them outcompete the harmful ones. According to the University of Utah (http://www.utah.edu), following are just some of the health conditions that involve our microbes and for which special fermented milk products as BRAVO may prove useful. In addition to reconstituting the human microbiome, most of the microbial strains contained in BRAVO show per se beneficial effects in a variety of conditions and their mechanism of action at the molecular level converge in stimulating and rebalancing the immune system as well as in other health promoting effects of BRAVO. For example, during the proprietary fermentation process, the vitamin D binding protein (VDBP) that is abundant in mammal milk and colostrum is converted into the active VDBP-derived macrophage activating factor, a powerful activator of macrophage function that also shows anti-cancer and neuro-protective properties (Nutrients. 2013 Jul 8;5(7):2577-89. J Neuroinflammation. 2014 Apr 17;11:78. Anticancer Res. 2014 Jul;34(7):3569-78. Anticancer Drugs. 2015 Feb;26(2):197-209). Interestingly, one of the strains in BRAVO, Lactobacillus Rhamnosus also activates macrophages (Microbiol Immunol. 2012 Nov;56(11):771-81) thus converging on the same immunostimulatory pathway with a synergistic effect. The synergism between the molecules naturally present in BRAVO and the live bacteria that are also present in it, can be observed also in a range of allergic and auto-immune diseases involving an imbalance of TH1 and TH2 lymphocytes, where BP can help re-establishing such a balance. In fact, it was recently demonstrated that an allergic/autoimmune reaction is characterized by a disrupted T- helper 1⁄T-helper 2 (TH1/TH2) balance toward a preferential allergen specifically induced TH2 cytokine profile, causing allergic inflammation. It is well recognized that chronic inflammation is a risk factor essentially for all chronic conditions (see the paragraph on the PINI score below). It is also well known that probiotic bacteria have various beneficial effects in many pathologic situation. Studies have shown that the bacteria present in the intestinal micro flora play a role in the TH1/TH2 balance and its modulation can promote the control of infectious and immune processes. In a recent study the effects of probiotic bacteria on TH1/TH2 cytokine production by peripheral blood mononuclear cells (PBMC or circulating macrophages) of allergic patients and control subjects were tested (Somaya M. El Sheikh et al. / American Journal of Immunology 10 (3): 116-130, 2014). This study included 24 patients allergic to date pollen and 16 healthy control subjects. PBMC of both groups were separated and cultured for 72 h with date pollen allergen in the presence or absence of Lactobacillus Rhamnosus and C- phycocyanin (a botanical extracted from Spirulina platensis). The conclusion of this study was that Lactobacillus Rhamnosus and C-phycocyanin inversed the TH1: TH2 polarization in allergic patients thus representing be promising line of treatment for all conditions where an imbalance of the immune response, with consequent chronic inflammation, is present. In addition to the considerations outlined above, the role of the gut microbiota in the pathophysiology of cancer, neurodegerative and neurodevelopmental diseases, which is promoted by a bacterial diversity shift mediated by altered nutrition has been recently reviewed. Whole bacteria, their products, and metabolites undergo increased translocation through the gut epithelium to the circulation due to degraded tight junctions and the consequent increase in intestinal permeability that culminates in inflammation and insulin resistance. Several strategies focusing on modulation of the gut microbiota (such as administration of fermented milk products) are being employed in metabolic derangement in order to reduce intestinal permeability, increase the production of short chain fatty acids and anorectic gut hormones, and promote insulin sensitivity to counteract the inflammatory status and insulin resistance found in obese individuals. In addition, the microbial strains contained in BRAVO are associated with the endogenous production of neurotransmitters and second messengers that are known to rebalance and improve neurological functions and neuronal connectivity. In fact, there is increasing evidence suggesting an interaction between the intestinal microbiota, the gut, and the central nervous system (CNS) in what is recognized as the microbiome–gut–brain axis. For example, recent data with Lactobacillus Rhamnosus (that is contained in BRAVO) suggest that these microbes can modulate the GABAergic system and, therefore, may have beneficial effects in the treatment of depression and anxiety (www.pnas.org/cgi/doi/10.1073/pnas.1102999108). Therefore, BRAVO was designed with the objective of exploiting the intriguing opportunity of developing unique microbial-based strategies for the adjunctive treatment of stress-related psychiatric and neurodegenerative disorders. As far as the role of probiotics in cancer is concerned, it is well assessed that functional foods as BRAVO, enhance bioregulation such as stresses, appetite and absorption; biodefence, such as immunity and suppression of allergies; prevent diseases, including diarrhea, constipation, cancer, cholesterolemia and diabetes; and suppress aging through immunostimulation as well as suppression of mutagenesis, carcinogenesis, oxidation processes, intestinal putrefaction, and cholesterolemia (Biosci Microbiota Food Health. 2014;33(3):117-28). Therefore, BRAVO can be used as a food in a number of conditions where its properties can be beneficial, combining nutritional and natural immunotherapeutic approaches. For more information go to https://www.bravo-europe.com.